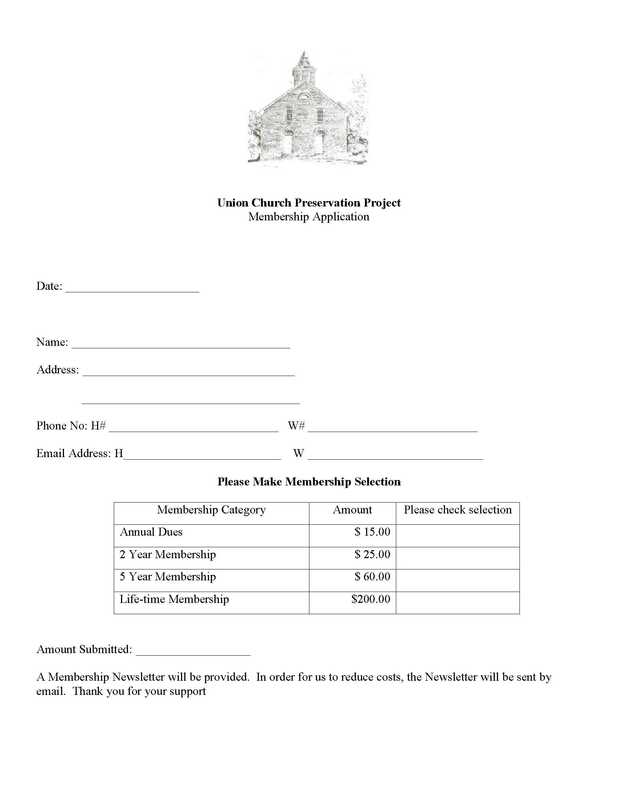 Become a Member of the Union Church Preservation Project! The Union Church Preservation Project would like to extend an invitation to the general public to become a member of the UCPP. Please fill out the following form and submit it via postal mail, or take to any Union Church event and turn it in to a volunteer or trustee. Contact Us to volunteer your time or equipment to help clean up and help restore the Union Church Historic Site!